A long time ago, I think it was in the book "Information Rules", I read a great example of a pure inefficiency, a problem where everyone involved is worse off than they could be under a simple alternative scenario. At a deli or coffee shop, where coffee is served in disposable cups, it's better if the covers are the same size for different size cups (i.e. the circumference of the top of the cups is the same whether the cup is small, medium or large). Otherwise, people will waste time because they picked the wrong size cover and have to pick again, others will also waste time as they wait for them to get out of the way, some lids get wasted, the counter gets messier, etc. Many small problems arise from having different size lids. It's a striking example because the difference between the right and wrong solution is so trivial. It's a design error, and if you realize it early on, the fix is virtually free but later it's very costly. Nothing new in that, that's exactly the nature of software bugs and it's not surprising that similar "bugs" exist elsewhere. But what really fascinated me in this example is that the bug, doesn't get fixed even in subsequent versions! You still have many coffee places that have different size cup covers, for decades, for no good reason.What a fascinating bug! It should have been crushed years ago and yet it continues to hang around generation after generation. Typographical Fonts where l (lower case L) and I (capital i) are hard to distinguish.... It seems like if you are designing a font, making letters distinct would be one of your first requirements, so how do these fonts survive, and even thrive? Imagine all the damage that has been done throughout history because someone misread a "l" as an "I"... it's hard to estimate but it must be huge. Maybe it caused a shipwreck at some point! 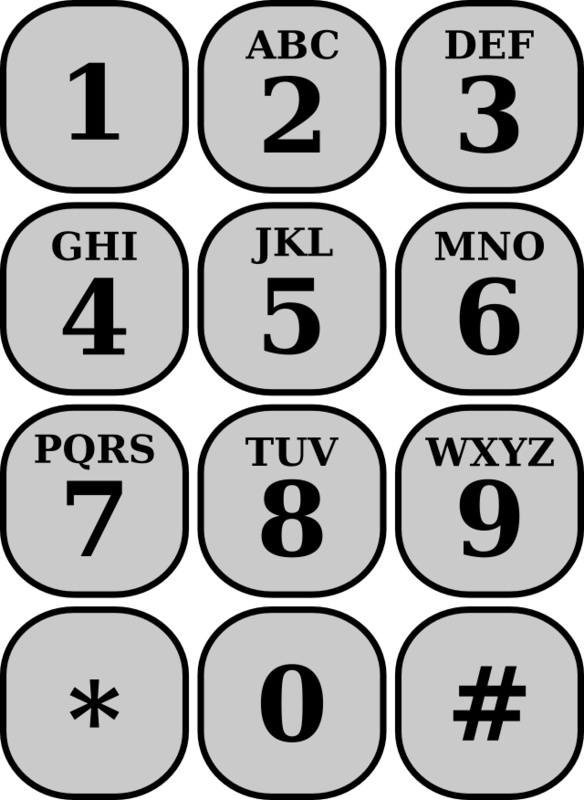 Alphanumeric key mapping on phones: a neat old idea which allows you to make memorable words out of phone numbers, like 1-800-FLOWERS. But let's look at that mapping on our phones We have 2: ABC, 3: DEF, 4: GHI, 5:JKL, 6: MNO, 7 : PQRS, 8:TUV, 9 : WXYZ , and 1 and 0 have no letters. This leaves a small doubt in a some cases: when you see O is it really an O which makes it a 6 or is it a zero? Similarly if I see a I, I'm not sure if I should dial a 4 or a 1. That's a bug in the design. The fix would obviously have been to assign I to 1 and O to 0, and then assign all the others alphabetically 4: GHJ, 5: KLM, 6: NPQ, .... with a nice side effect that now all the keys would have three letters on them (instead of two of them having 4 letters, or omitting Q and Z like they did in some old phones). Again a trivial fix but the design bug got locked-in, became the standard, and now it will never be fixed. Imagine.... maybe some lives were lost because someone wasted precious seconds by dialing a 4 instead of a 1! btw, information rules, what a great book! one of the first in a series of excellent book recommendations you have given me over the years. hope all is well, take care.